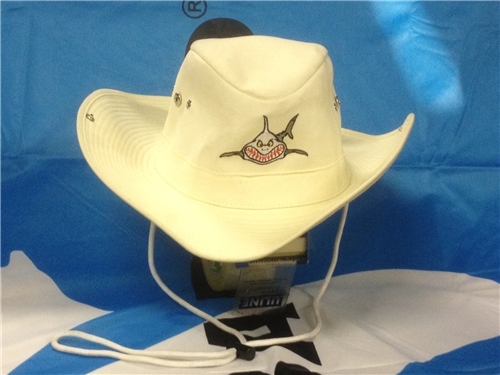 Have a question about the Outback Snap Brim Sharky Sun Protection Hat? Keep the sun off in between dives or out at the beach. Bring Australia to your scuba diving adventure or water sports fun activities. Side snaps so you can wear it as a western style brim hat too! Large fits most heads and the XL is for folks with big heads. on 12/16/2011 A friend of mine has this hat in white. Can I get this still in white. If so I would like to order a bunch for are dive group. please let me know. on 12/21/2011 Yes and we put a new picture to reflect this.